Layfield’s stretch hooder films offer an environmentally friendly, cost-effective and convenient way to protect your palletized materials. 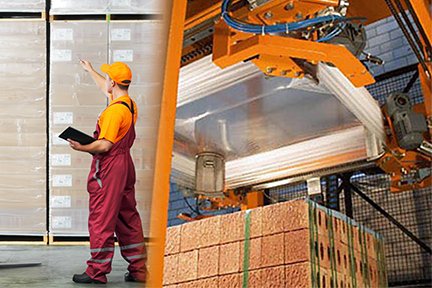 Stretch hooder films combined the weather protection and load stability advantages of pallet covers with the economy of stretch films. StretchTechTM is best used for palletized products that do not change shape during transportation and have less physically demanding applications. This film protects your product from weather damage and provides safe and secure pallet load. This is Layfield’s most popular film. Features film memory that can be used for a wide-range of products and pallet sizes. This strong film has increased holding force to provide continuous load retention, and is perfect for puncture and tear resistance. The film’s tight gauge tolerance reduces material consumption. This heavy-duty, highly elastic film secures irregular pallet sizes. The puncture-resistant film has reduced holding force to eliminate damages to softer products. This powerful film also provides the highest level of film clarity for product and brand exposure.